Plow Automation can keep your site performing at its best year-round with our calibration and preventative maintenance services. We are fully qualified to calibrate your flow meters and other measurement equipment and while we are at it can check and adjust your other automation equipment to guarantee it’s functioning at the highest level. We can custom tailor our services to fit the needs of your organization. We can do everything from meticulous complete checks of every piece of automation, measurement or control hardware all the way to basic checks that don’t even require any interruption in production. 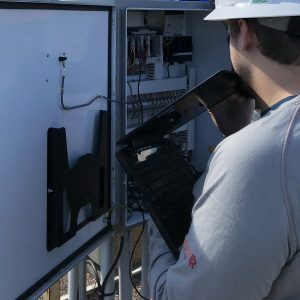 Our field technicians have years of experience spotting trouble ahead of time to help keep costly failures or inaccuracies from causing costly down time. Once we’ve set you up on a maintenance and calibration schedule our technicians will contact you every quarter like clockwork to schedule a field visit to ensure your maintenance is one less thing to worry about. Maintenance visits are billed at our standard mileage and labor rates so combining these two valuable services can prove to be quite cost effective.